How much exactly does the commemoration of the ‘Anzac centenary’ cost the Australian taxpayer? The group Honest History documents that, to date, government funding and private donations for the centenary have reached more than half a billion dollars. The centenary of World War I has more than two years left to run and, even though the commemoration in 2015 of the hundred years since the Gallipoli landing was Australia’s commemorative milestone, it is fair to assume that overall spending will increase until the centenary draws to an end in November 2018. To put Australia’s commemorative spending in perspective, the highest estimate of French public and private spending for the entire duration of the centenary stands at 120 million euros, a figure which almost certainly will not be reached, with only 30 million secured from public institutions to date. Australia lost 60 000 soldiers to the Great War; France lost 1 400 000. If you do the maths, by January 2016 Australia had already committed $A9363 for each of these soldiers. France, for the duration of the centenary, may spend up to 86 euros (about $A125) per dead French soldier, according to the highest estimate of its commemorative spending. In other words, Australia during the centenary of World War I will spend, at the very least, 75 times more on commemorative activities per dead soldier than France , a proportion which, in reality, might well inflate to 150 times more by 2018, at the present rate of spending. Exact figures for some countries are difficult to find but Australia alone will probably spend more on Great War commemorative activities than Germany, Russia, Belgium, France, the United Kingdom, the United States, Italy, Bulgaria, Greece, Serbia and Romania combined. Yet these countries were affected by the conflict in much more direct and dramatic ways than Australia. What would the Anzacs themselves think of the $561.8 million already committed to their centenary? Some, if they were still alive, would probably think the amount preposterous, particularly given how hard it was for some of them to secure a pension once they returned home. Certainly, a number of contemporary veterans have voiced the opinion that such funds could be better used for existing and new programs for returned service personnel. At a time when budget cuts have become a government leitmotiv, one wonders whether part of the money allocated to the Anzac centenary could not have been used for more pressing social purposes, while still observing an honourable commemoration of Anzac in a less lavish fashion. But what is ‘the right amount’ to spend on the commemoration of the centenary and, is there such a figure anyway? 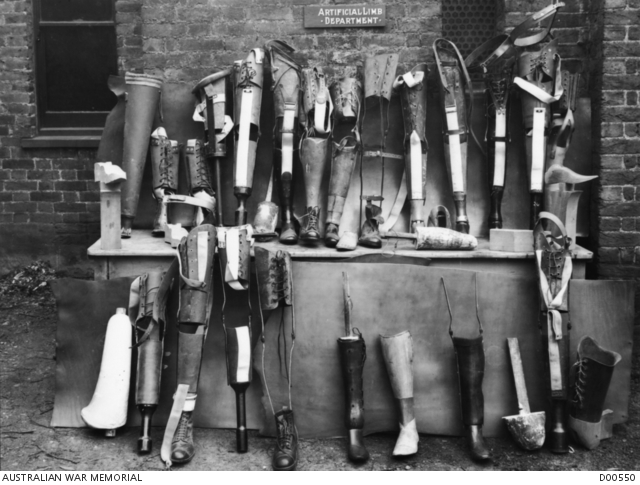 Australia’s commemorative spending tells me, as an historian of the Great War, how much the nation cherishes the Anzacs or, more precisely, how much the desire to cherish the Anzacs has been instilled into new generations of Australians. Indeed, Australian politicians from the 1990s onward have manipulated the Anzac tradition in a fashion unprecedented since the war itself. These politicians have turned commemoration into politics, when perhaps it should be left to every Australian to decide how to remember the men and women who fought and died for their country. This country, Australia, has much history to commemorate and many values to offer; commemoration is often more about the present values we project onto past events than about those events themselves. One wonders if the hypermemorialisation and hypercommemoration of the Anzac legacy precludes a wider and more inclusive understanding of Australian history. War overseas is far from the sole contributor to the history of this nation. What about Indigenous Australians? Australian women, too often relegated outside of the Anzac narrative and Australian history in general? What about the history of Australia’s remarkably successful democracy? Or that of Australia’s multiculturalism? The militarisation of Australian history and its commemoration overshadow other aspects of the country’s rich past and this ought to be addressed. Moreover, within the commemoration of the centenary of Anzac at national level, it has often been the most celebratory projects which have obtained government funding. Is this appropriate when a nation is remembering a war? In Australia’s case, it was not all about mateship in the trenches of Gallipoli, the Western Front or the deserts of Sinai and Palestine. What about remembering violence, killings, the grief of parents, widows and orphans or the maimed and the wounded? What about more controversial issues such as venereal diseases, looting and desertion in the AIF or domestic violence among returned soldiers? These stories have not occupied the forefront of Australian national and official commemorations; far from it. Some of the new memorials being built by the Department of Veterans’ Affairs on the former Western Front purposely ignore such realities of war to craft a glorious commemorative narrative. At the same time, propositions such as those of the late Malcolm Fraser to use part of these commemorative funds to open a research centre to reflect on peace and conflicts have been cast aside. Interestingly, denouncing the horrors of war and promoting peace is very much the official narrative followed by countries such as France and Germany, countries in which the war took a toll which forbids commemorative vainglory. Dr Romain Fathi is a French historian whose longstanding research interests are concerned with Australian national identity, the Great War and war commemorations. He obtained a jointly awarded PhD at the University of Queensland and Sciences Po, Paris. He studied and taught in several universities including Sciences Po, Yale and the University of Queensland. 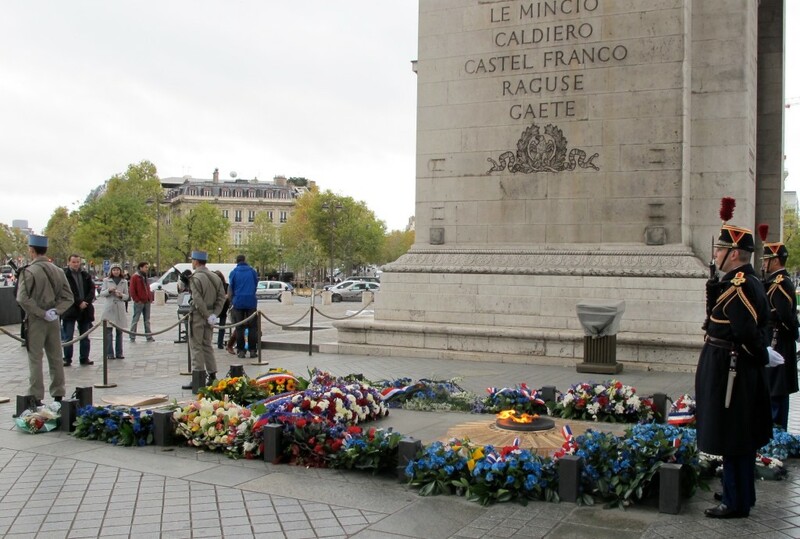 Among other publications dealing with Australian war memorialisation, he has recently published a book in French entitled Représentations du corps combattant de 14-18. L’Australian War Memorial de Canberra au prisme de l’Historial de la Grande Guerre de Péronne. ‹ Keeping up with the Anzac centenary: have we passed ‘Peak Anzac’?